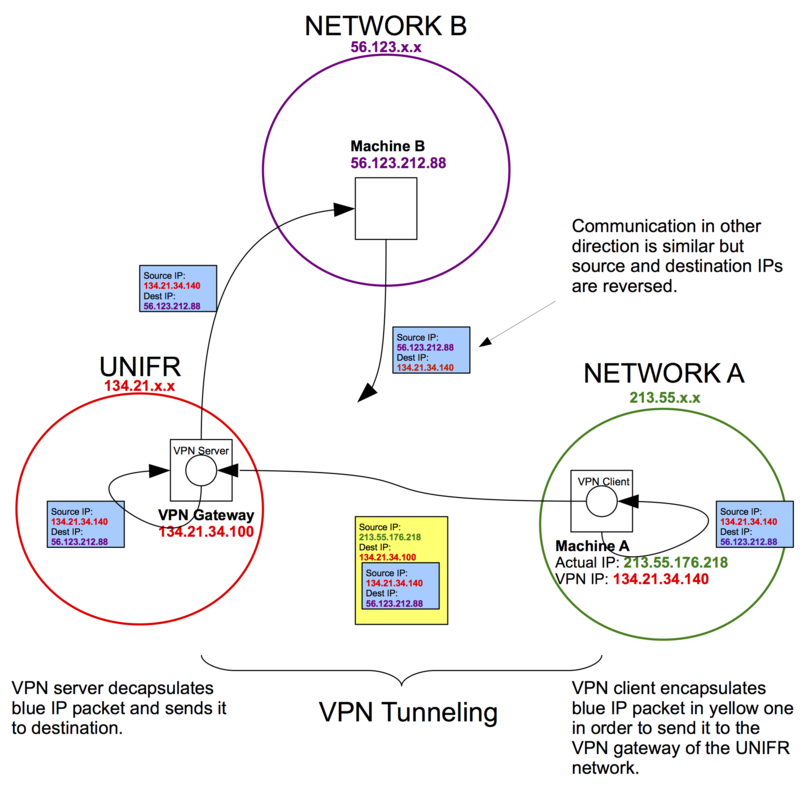 A simple explanation of how VPN tunnelling works, that is, the encapsulation of an IP packet (that will be used later) in another IP packet (that is being used now). Network B: any network in the Internet (e.g. the IEEE publication repository). As can be seen, for Network B it looks as if the request of the student is coming from within UNIFR. This might allow the student to access the IEEE publication repository with the license of the university, even though the student is physically located outside of the university network.